Where did California get its name? Public television station KCET posted an in-depth article on the origin of the name California itself. From Beijing to Buenos Aires, from Moscow to Mecca, all around the world people know of California. And it is a place that exists in our imagination, as much as it does a physical location. Geographically standing at America’s western frontier, California has psychologically come to represent a land of promise, possibility, and opportunity. And over the last century, waves of migrants, from filmmakers to oil men, from farmers to “dot com” entrepreneurs, have journeyed to the state in hopes of attaining their own piece of the California dream. But even though the name “California” is known throughout the world, most people, including its own residents, are unaware of the origin of its name. 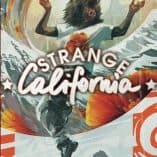 And this origin story demonstrates that the California dream is not a new phenomenon, but rather has existed in the imagination of men and women for hundreds of years. The name is first applied by author Garcia Ordonez de Montalvo as a mystical island resembling the Garden of Eden that was “full of gold, which was ruled by strong and beautiful black women . . . [and] also populated by griffins . . . which the women kept as pets.” But that’s the not the origin of the name itself. While the Spanish explorers derived the name from Montalvo, where did he first discover the name? The inspiration for the word was likely “Khalif” or “Khalifa” which means “successor” in Arabic but more specifically refers in Islam to a head of state or leader of the Muslims. Montalvo was surely familiar with these words. Portions of Spain were ruled by the Moors, who were Muslim, from 757 to 1492. And it fits the story’s narrative. Montalvo’s novel was a fanciful rehash of the struggle between Christians and Muslims during the crusades. The Islamic origin of the name illustrates an example of how our lives are affected by many different cultural influences, even if we are not explicitly aware of them. In addition to coffee, algebra, hospitals, and toothbrushes, the name of our state finds its origin in the Muslim world. Just like our present day state, the name “California” is a confluence of multiple cultural influences. This state, which has spawned so many of its own myths, has its origin in myth. 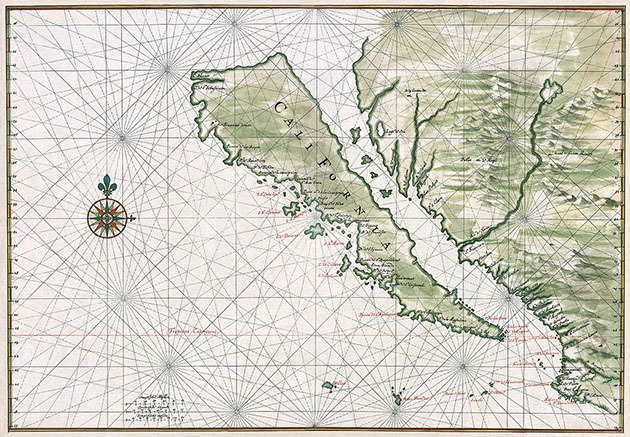 The Spanish explorers were looking for an “island dream” when they gave California its name. And hundreds of years later, people still come to California searching for their own piece of the California dream. Check out the entire article for a brilliant read on the mythological origins of California.